At TotalHousehold PRO we know digital marketing - and we know how much time you need to do it right. Whether you're a general contractor, home builder, HVAC professional, painter, landscaper or pool specialist, providing top quality services for customers often leaves little time for day-to-day business management. Our team of tech-savvy individuals and marketing gurus are here to provide all the back office support you need. From building and designing your website, to establishing social media pages, managing local listings, merchant services and more - we'll help your business take off. No cookie-cutter websites here - each project is tailored to your wants and needs. Each job done right and on time - we quickly work to finish your project, not compromising quality. No need to spend a fortune - enjoy customized, affordable services with no hidden fees. There when you need us most - easily reachable, no matter what type of support you need. 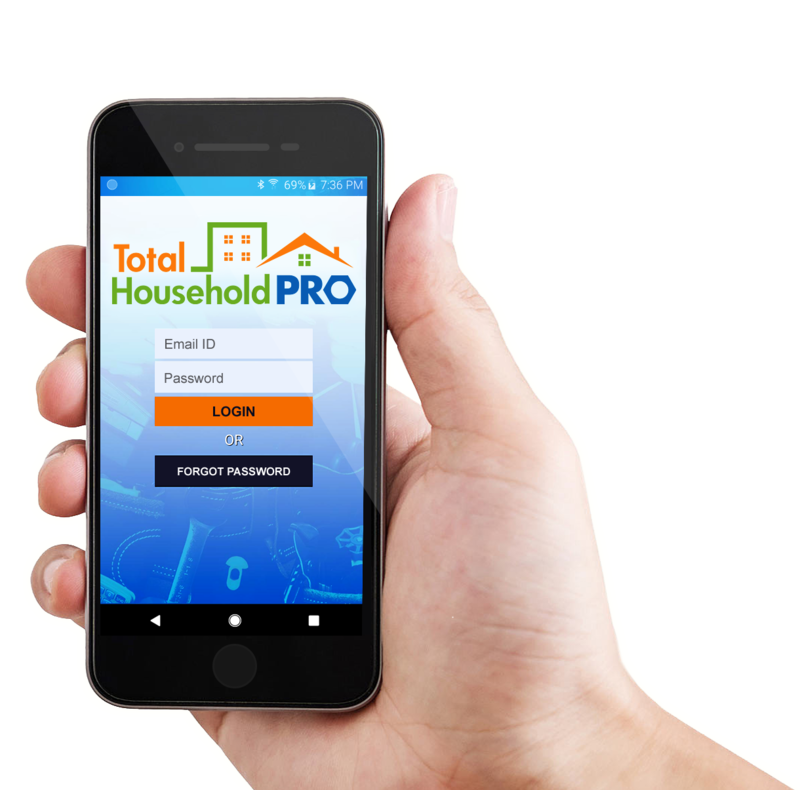 The TotalHousehold Pro App makes credit card and check processing much simpler and secure for the home improvement and construction industry. TotalHousehold Pro has partnered with CardConnect to offer the best-in-class payments technology which is directly integrated with TotalHousehold Pro, providing users with a single source solution. Live chat to engage with your customers immediately. Wouldn't it be great if visitors of your site could conveniently get quick answers from you about their potential project? Our live chat feature allows customers to contact you via the THPro mobile app or desktop with each of their question or concerns. This helps to retain visitors and convert that lead into new business. You work hard, getting paid should be easy. Just give us your product listings, and we'll take care of the rest. Allow customers to pay with their preferred method of payment - whether it's a credit, debit or ACH check - getting you paid for your hard work as quickly as possible through either their desktop or from the TotalHousehold PRO App. Are your marketing emails are reaching your audience? You've got a great business - but how to get the word out? Our Email Delivery Platform helps small businesses reach their audience via email as efficiently as possible. We'll provide you with statistics on emails delivered and opened through our state-of-the-art servers to help you grow your client list. Up to date inventory management. Show off your top quality products to customers in real time. With our innovative countertop catalog, countertop fabricators can have all materials available from the manufacturers on their website - live and up to date with available types, names and pricing - giving potential clients a wide selection right from the comfort of home. Are your business operations spread throughout the city, state or even country? Our store and/or product locator will help customers know exactly where they can find each and every one of your store or product locations. Through our tool, you can customize and regularly update information. Share what your customers have to say about you. Customer reviews are a huge factor which can affect potential clients' decision making. Good reviews? We will help you get more reviews from satisfied customers and have them published across the internet - on various social media and industry network platforms. Bad reviews? We'll help you resolve them. Simply get in touch with us today using the button below or give us a call at (800) 325-4315 for a free marketing consultation for your home improvement business.